The Company was seeking to replace its existing revolving credit facility with a new facility that would better support the Company’s growth and provide additional liquidity. Concord highlighted the Company’s strong balance sheet and collateral coverage along with its plan to grow profitability and generate significant cash flow. 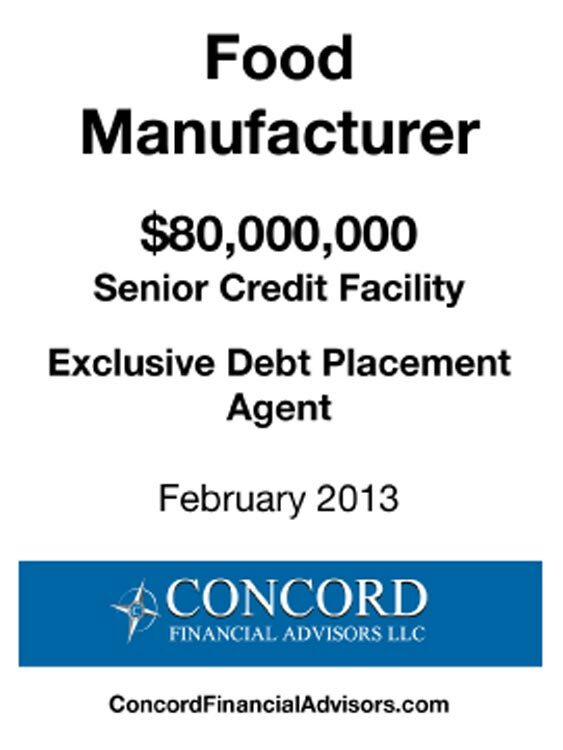 Concord was able to secure an $80,000,000 Senior Secured Revolving Credit Facility with a five- year term that provided additional borrowing base availability and a Capital Expenditure Line of Credit to support the Company’s growth initiatives. Concord closed the transaction in approximately 90 days.